Urgente! Buscamos 6 personas para un intercambio en Turquia! Hoy os queremos informar de esta interesante oportunidad de intercambio en Turquia con salida muy proxima (del 23 hasta el 30 de julio). 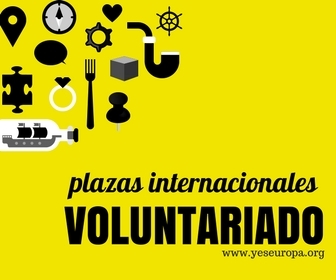 Los intercambios son iniciativas promovidas por la Comision Europea y se enmarcan en el programa Juventud en Acción como actividades finalizadas al conocimiento de nuevas culturas e identidades, fomento de la dimensión europea y desarrollo personal y profesional. En este caso NO HAY LIMITE DE EDAD pues puede participar quien quiera. Los intercambios europeos estas en parte subvencionados por Europa (alojamient+ comida+ el 70% de los gastos de viaje) asi que solo deberás pagar el 30% de los gastos de viaje y 50€ en concepto de cuota de inscripción. Lee detenidamente las informaciones aqui debajo (programa de actividades+ condiciones generales) y si estas interesad@ envianos tus datos (nombre, apellidos, telefono de contacto) a: sve@ingalicia.org especificando en el asunto del correo : Intercambio Turquia. Al ser las fechas muy próximas os recomendamos no solicitar un puesto si no estais realmente convencidos o no estais seguros de tener disponibilidad para esas fechas. This YE is opened to youngsters and youth workers (NO AGE LİMİT ) working not only in NGO’s but in all ways of life. We would like to coordinate a 7 days of international Youth Meeting in Yozgat with European countries. The event gathers together 30 young people from European countries.And their age is between 18-30, and they come from different cultural and religious backgrounds. They are all actively involved in youth work in their national or local context and will be able to work as multipliers after the Youth Meeting. General aim of the project is to contribute finding solutions for employment problem which has severe reflection on social life and which causes decomposition and destruction of societies, specific aim is to contribute finding solutions for unemployment problem of the city by improving social dialogue between sides that will create employment. This Youth meeting will be realized through discussions, workshops, working in groups, excursions focused on history and culture, cultural nights, evening parties and spare time spent together. As a result; by implementation of this project; by improving culture of working together; decision makers, NGOs and academicians, Turkish and EU participant will be able to work and produce projects together and it will result to use all potentials of our towns and to produce the quality in a cheaper way and it will be possible to find direct solutions to sustainable development and unemployment by improving competition forces and supply full employment. Active participation, group and teamwork, learning-by-doing, as well as theoretical inputs, form the basis of the course. There will be mainly workshops where participants will discuss topics in small groupsto be included. That will conclude by general reporting to the course group at the end of the workshop. You will be accommodated in double rooms. WC – not adopted for wheelchair users. The accommodation, 3 meals in a day, and coffee breaks will be paid by hosting organization. Location; Southeastern Europe and Southwestern Asia (that portion of Turkey west of the Bosporus is geographically part of Europe), bordering the Black Sea, between Bulgaria and Georgia, and bordering the Aegean Sea and the Mediterranean Sea, between Greece and Syria. Turkey has been called “the cradle of civilization”. Turkey has a magnificent past, and is a land full of historic treasures from 13 successive civilizations spanning 10,000 years. Turkey boasts a rich culture that through the centuries has made a lasting impression on modern civilization. The language of Turkey is Turkish. Ankara is the capital of Turkey. It is the Turkey’s second largest city after Istanbul, with a population of approximately five million people. It is in the middle of the Anatolia Region. Ankara’s origins date back to a Hittite settlement in the second millennium BCE. English information about your organization; brochures, leaflets,…etc. All relevant information you have on the previous international project(s) you’ve organised / been part off (reports, gadgets, press releases,…). Please bring your national food, traditional drinks, music or souvenirs for the intercultural evening on Sunday evening. On this evening you will be able to show what is typical for your country; it can be food drinks or whatever you would like o present from your country. ☼ PROOF OF ALL THE TRAVEL EXPENSES and visa costs you wish to reclaim. If you come by plane, please be sure to bring evidence of the sum actually paid (invoice) and boarding pass, Electronic tickets will only be considered as acceptable on proof of payment (invoice) and on presentation of the boarding pass for the outward journey). Please keep in mind the travel rules of the YOUTH Programme. If you come by train or bus do not forget to buy a return ticket. Please copy your tickets before you leave your homes to Kırsehir. ☼ Medication, shampoo and other personal items. tapes, varied and comfortable clothes,… etc. Should you need visa to come to Turkey, please locate the Turkish Consulate nearest to you and apply for the visa as soon as possible. If you need a separate invitation letter, inform us accordingly. Participants are requested to arrange their journey by the most economical route. Your travel expenses will only be reimbursed upon presentation of documentary evidence of the sum actually paid. For this reason, the ORIGINAL INVOICE is necessary (issued by the travel agency or other ticket issuing company). Copies of invoices are not taken into account. Electronic tickets will only be considered as acceptable on proof of payment (invoice) and on presentation of the boarding pass for the outward journey. This evidence of the expenditure will be joined to the claim form for reimbursement together with the relevant travel tickets or copy (plane, train, etc) and boarding passes. Please buy return tickets for your full journey, and keep your boarding passes. Reimbursements will be made in cash, in Euros, during the training course. According to the rules of the YOUTH Programme your travel expenses will be reimbursed in 70% of the total cost of your travel. Kırşehir is at 950 m, and has a continental climate. Urgente – ¡Vacante SVE en Turquía!